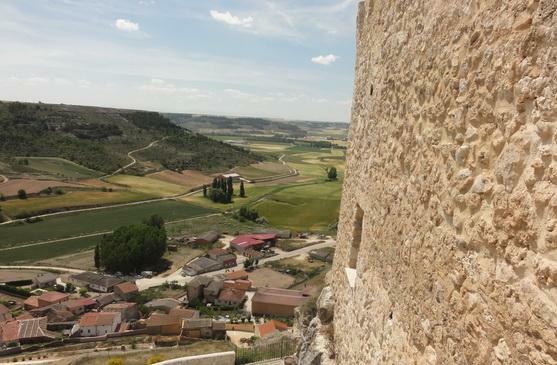 Perched upon its little mountain overlooking the village of Curiel this pocket-sized fairy tale castle is now a stylish and comfortable hotel and a perfect base from which to discover the Ribera de Duero wine region. 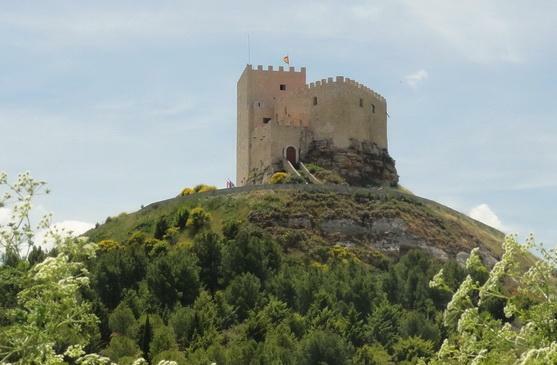 Once part of Eleanor of Aquitaine's estate, the castle played a key role in the Islamic wars of the 11th century, later becoming a nobleman's prison before falling into ruin after the Christian re-population of the area and the building of the larger castle at nearby Peñafiel. 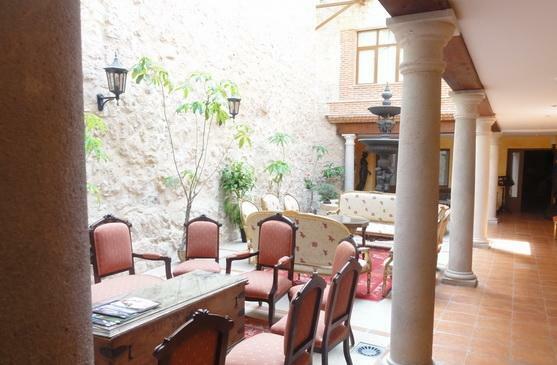 The current owners have restored the castle walls to their former appearance and inside have built a charming hotel and restaurant making good use of the architectural features. The rooms are surprisingly light and airy and there are fantastic views from the rooftop terrace to the vineyards and hills beyond. 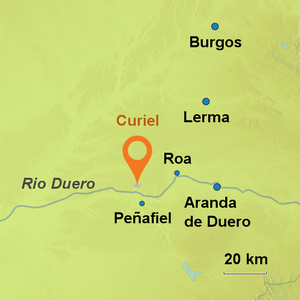 The owners have their own bodega in Curiel which they are happy to show to guests and of course they can help you to organize visits to any of the myriad other bodegas in the area. 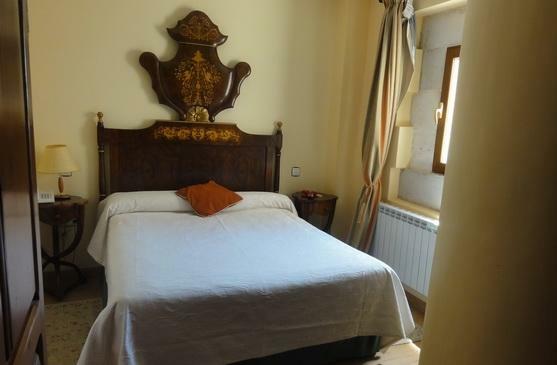 5 Suite & 19 standard double rooms. 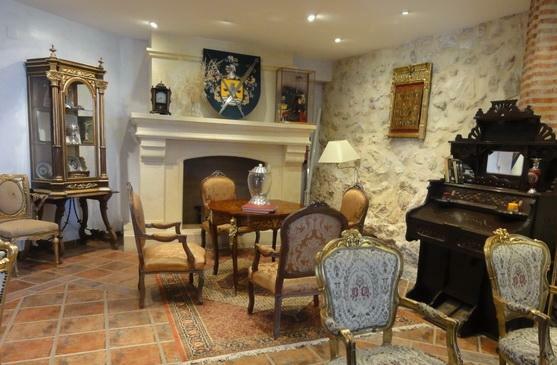 All rooms are quite individual and are named after historical figures associated with the castle - a short history is presented to guests with the keys. Complementary bottle of their own wine 'Viejo Coso'. 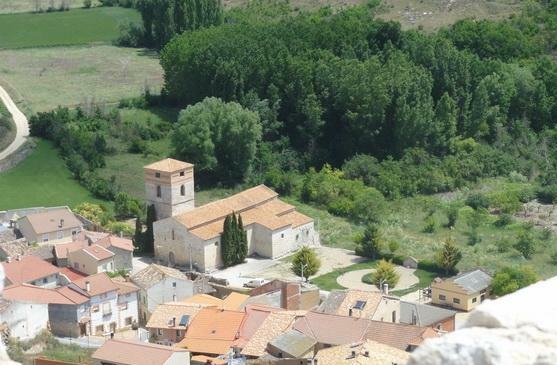 All but 1 room are exterior and enjoy lovely views to vineyards & hills. 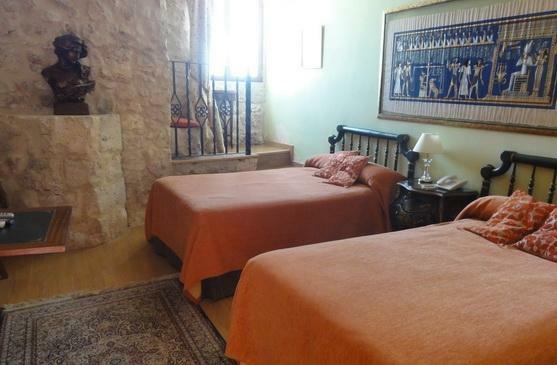 All rooms are en-suite and have air conditioning, heating, Wifi, TV, Telephone, Minibar. Superior rooms are larger and include a desk and a sitting area. Mountain bikes for clients use - these are thoughtfully kept at the bottom of the hill! 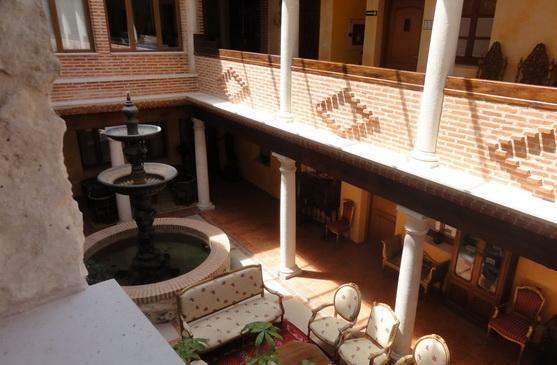 The hotel has two dining rooms, a smaller one where breakfast is served and which is open mid-week for lunch and evening meals and when there are functions in the larger restaurant, which is generally used more at the weekend. Breakfast is served to table and includes fresh coffee and juice as well as home baked & locally sourced produce. 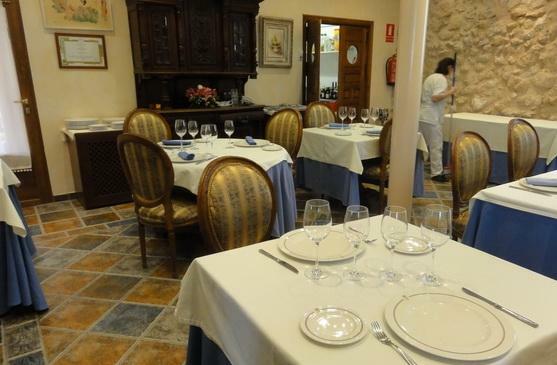 The restaurant is open to the public and serves local Castillan style food as well as more modern dishes and has a fine selection of wines. 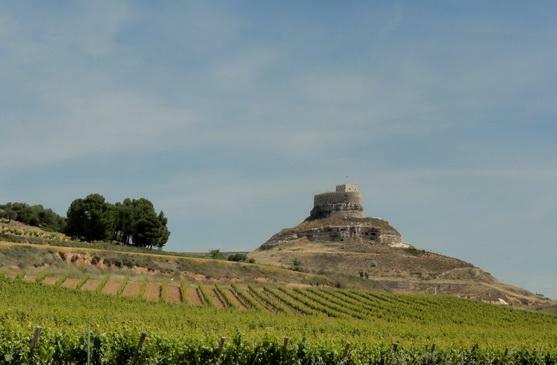 At the very heart o the Ribera de Duero wine region Curiel is surrounded by some of Spain's most prestigious bodegas and makes the perfect base to discover the area. 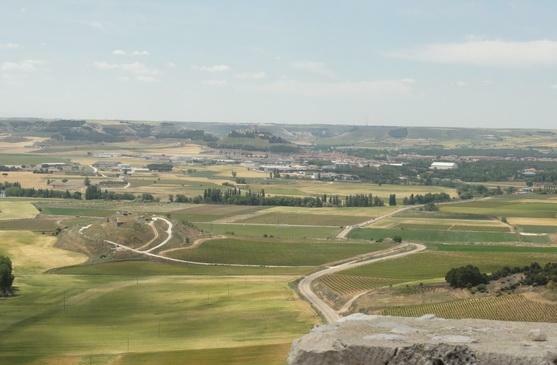 The castle now houses the official wine museum of the Ribera de Duero and offers fine views out over Peñafiel and the Duero valley. 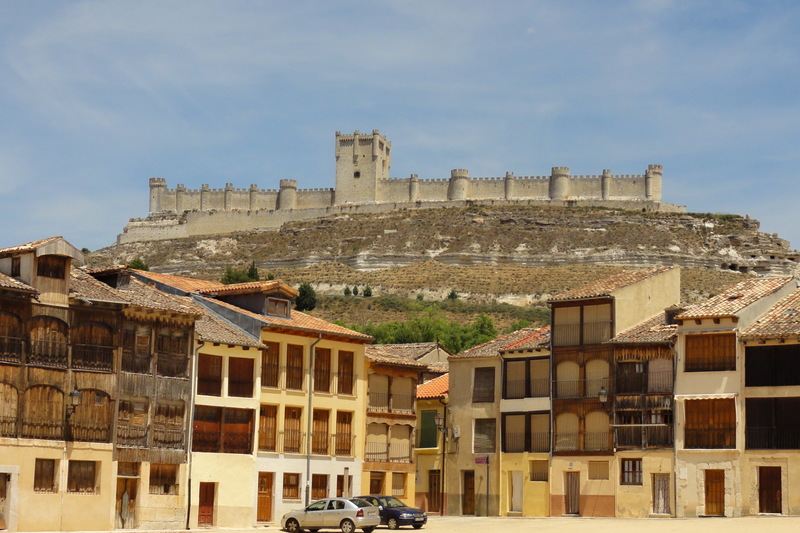 The town has some fine medieval convents and churches and an unusual square 'El Viejo Coso', with unique wood-faced houses, where bullfights used to be held. Local specialties are roast suckling lamb (lechazo) and Flor de Esgueva - a local cheese made from sheep's milk. Dublin with Ryanair and Aer Lingus. NB There are many connections with Madrid. Please call us for help and advice if you don’t see you nearest airport here. Should you prefer to arrive by ferry there are regular sailings from Plymouth or Portsmouth to Santander with Brittany Ferries. Please ask us for a quote.